Application developers targeting the Linux Desktop are confronted with a wide range of different desktop configuration which makes it difficult to integrate their applications with the desktop environment of their user's choice. The Portland project set out to create a common set of high-level desktop integration APIs that application developers can depend on regardless of the environment that the user is running. The first version of Portland is centered around xdg-utils, a set of command line utilities. On the longer term a second stage of Portland is envisioned based around common DBUS APIs. Portland 2.0: Introducing the service oriented desktop. It's all about the interface. 10 things that ISDs want to do. Things done so far. How you can help. 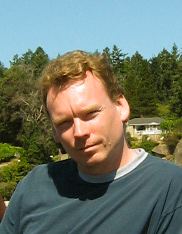 Waldo Bastian is chairman of the technical board of the OSDL Desktop Linux workgroup. Waldo works for Intel Corporation as Linux Client Architect in the Channel Platform Solutions Group. Before joining Intel in 2005 he worked for SUSE/Novell were he led the Desktop team within SUSE Labs. As a long time contributor to the KDE project Waldo has been involved with desktop Linux for more than 7 years. Currently Waldo is involved in the OSDL/freedesktop.org Portland project which is defining a set of high-level APIs that allows applications to integrate more easily with the Linux desktop. Waldo is also a member of the OASIS OpenDocument TC.